Boston is one of five cities participating in the largest national study to date, conducted by the RAND Corporation and commissioned by the Wallace Foundation, to examine the effects of voluntary summer learning programs on student outcomes. RAND’s most recent findings, released in Fall 2016, found that students who attend voluntary 5-week, academically focused summer learning programs at high rates earned a clear advantage in math, reading, and social-emotional skills over their non-participating peers, and that these academic advantages persist over the school year. As seen in this research brief, several factors were crucial to positive student outcomes: consistent student attendance, high levels of academic time on task, and high quality instruction. Check out our attendance section for more information on engaging students and families. The Insight Center sat down with RAND researchers Jennifer Sloan McCombs and Heather Schwartz to explore the topics of academic time on task and high quality instruction. McCombs and Schwartz have been involved in the national research study since its beginnings in 2011. Jenn and Heather, thanks for taking the time to speak with us. We know from the 2016 release of national study findings about the importance of instructional quality. We’re excited to learn more from you about this topic. To get started, can you give us a definition of instructional quality? RAND: Our definition of quality instruction included eight features. Seven of these features focused on teacher activities: effective use of classroom time for instruction, clarity of instruction, accuracy of instruction, whether the teacher checked for student understanding, teacher enthusiasm, teacher engagement in instruction, and teachers providing real-world context for the content provided. One feature measured students’ behavior that we expect to result from good instruction—students being on task. As a researcher in the classroom, what practices set the highest quality instruction apart from the rest? RAND: We observed several common instructional practices in the highest quality classes in both reading and math. First, teachers’ activities during independent practice mattered quite a bit. Teachers who circulated through the class were able to check in on each student to make sure they understood content, and they were able to reteach students if needed. It was also a time they could acknowledge students’ work. For instance, in one observation, a teacher circulating during independent practice gave a high five to a student and said, “You have made such progress on answering these questions. When you first started the summer, you struggled to answer, but now look at the beautiful sentences you are writing.” Circulating also helped students stay on task (Independent practice times were when we most frequently observed students drifting on and off task). During silent sustained reading, we tended to see that students who enjoyed reading read voraciously, but students who struggled with reading would not be reading during this period. These struggling students would hold a book in their hands, but would not be engaged in reading—they instead would do things like randomly flip pages, day dream, or talk to a peer. The most effective silent sustained reading periods were those in which teachers worked with a small group of struggling readers while proficient readers read independently. Careful planning of time within the class period and class day also mattered. Teachers who had mapped out what they were going to do each day and understood how each day related to learning objectives were able to accomplish more inside their class period. These classes had fewer missed opportunities and wasted time. It’s helpful to break that down, thank you. With this context in mind, how can program leaders begin to plan for high quality language arts (and math and STEM) instruction in their summer classrooms, beginning in September of the prior year? What are key elements in the planning process to achieve high quality instruction? Develop curriculum and pacing guides. We suggest that each teacher receives a curriculum and pacing guide for the subject they will teach. Providing these resources to teachers prior to the summer program reduces teacher stress during the summer, supports their instruction, improves use of instructional time, and helps ensure that students meet the learning objectives for the program. Plan for independent practice. We recommend explicitly planning for independent work time so that teachers can offer students differentiated materials during that time (e.g., extra worksheets with harder math problems). We also recommend training teachers on the need to circulate and check understanding and progress of each student during this time. Communicate importance of using time well during training. In addition to training on curricula, goals, etc., we recommend that training focus on how to use time effectively and communicate the importance of maximizing the available time in the program. For instance, counseling teachers on classroom management strategies to minimize time loss during transition and reduce start up and wind-down time during the class and the summer program. Create schedules that allow teachers to maximize time. Program leaders should write schedules that include transition time between activities, bathroom and water breaks, and that do not interrupt instruction with large breaks such as lunch and recess. RAND recommends recruiting teachers with relevant subject and grade-level experience. Can you elaborate on the rationale for this approach, and what best practices have you gleaned from your research that program leaders should keep in mind (re: teacher hiring, supervision process)? When these teachers launched the class, they were more likely to reach beyond WHAT students would do that day (e.g., “Today, we’re going to practice the tenth place value.”) to WHY students would learn this. (e.g., “We’re practicing tenth place values because it’s a building block for adding and subtracting numbers.”) Summer math teachers who taught math during the year tended to have a greater breadth of math vocabulary and math practices (how to display and explain place value), just as summer ELA teachers who taught ELA during the year had greater facility at employing ELA terms and greater ease guiding practices and overseeing independent practice. In each district in the study, efforts were made to attract the “best” or most effective teachers into the program, such as using teacher effectiveness ratings to aid selection, relying on personal networking where principals invited the best teachers in their schools to participate, and using interviews or essays to understand teacher enthusiasm, affect, and commitment. During summer, teachers need varying levels of oversight, depending on their skills and experience levels. We recommend that site leaders observe all teachers to understand what is happening in the classroom and who might need additional support, and to provide an ongoing method for teachers and administrators to confer with one another about students and curriculum questions. Can you talk more about the role of adults on site in attaining high quality instruction? What role do teachers play, what role do enrichment staff play, what role do program leaders play in attaining this? RAND: In top performing sites, the site leader had a clear, practical, attainable schedule that detailed which students needed to be where and when so that classes could start and end on time. With the administrator, the teachers had created a clear, shared five-week pacing guide that was simple to understand and that they revisited as needed as a team. It was clear during enrichment who was in charge and what the activities were intended to be. As programs plan their curricula (ELA, math, science), what suggestions do you have for program leaders to ensure their curricula align to school year and state standards? Especially considering the complexity of some national programs that have local affiliates, or programs that recruit from multiple districts, etc. RAND: We recommend that sites partner with their school district to create a short document that bullets out math, ELA, and science standards by grade level, along with a short list of recommended summer curricula that have content which supports those standards. These resources will guide the site to tailor curricula to school-year and state standards. The local school district can be a key partner in this work. RAND encourages teachers to take the time to ensure that each student understands the material. From your research, you know how hurried summer programs can be – there is only so much time in a typical 5 or 6-week session. How can program leaders build a culture of ensuring that differentiation of instruction occurs and students understand material — all while still meeting academic and enrichment goals? RAND: There are a few key ways program leaders can help create this culture. Planning and scheduling. Create a daily schedule that is achievable and plan logistics well, so the site is a well-oiled machine that runs smoothly. Create and communicate to all staff the program’s vision and expectations of what students will receive from participation. Communicate to teachers that every moment matters. Provide academic and enrichment staff the resources they need to achieve their goals. For academic teachers, this includes a curriculum, weekly pacing guide, and additional differentiated materials that teachers can distribute during independent practice for students who finish quickly and need more of a challenge. Check in with teachers during the program to ensure they have sufficient resources. Provide training to staff prior to the program launch that encompasses topics such as vision and goals of the program, daily schedule, site behavior management plan, curriculum, and tips for using independent practice time effectively. You’ve mentioned “training” a couple times. What are some key elements to keep in mind while developing training? RAND: It sounds common sense, but an effective training should occur prior to the summer session starts. Before the training, all staff should be hired and told to be present, pacing guides should be drafted (so teachers can review and edit it collectively), the daily bell schedule should be ready for presentation, and the training should include a clear explanation of roles and responsibilities for staff. This underscores the need for early planning (e.g., to select, order, and amend curricula and materials) and hiring. What are common barriers to attaining high instructional quality, and how can program leaders plan in advance to overcome these barriers? RAND: Common barriers included a lack of a curriculum, lack of a pacing guide, unrealistic expectations to cover too much material during a session, and an unrealistic bell schedule which resulted in students coming to class late or classes being interrupted. Also, clear plans for enrichment can also help to keep a really fun part of the day from becoming chaotic. For example, plans like “15 minutes of HORSE” are not as clear as “During 15 minutes of HORSE, person A mans the basket and leads the activity. Person B ensures students who wait in line stay on the court and remain engaged.” Activities that involved more than a minute or two of set up with a teacher lecture or that involved waiting in lines so one person takes a turn at a time (unless turns were very short) were more prone to student misbehavior, boredom, and children running off. How should programs measure instructional quality and create a culture of improving quality of instruction during and after summer? RAND: A best practice is to establish regular joint planning time among teachers and staff. This could happen before, perhaps during (if there is coverage), or after the program day. During this time, teachers and staff can share and review work produced by students to assess progress and next steps in light of the curriculum and pacing guide. This also gives time for teachers to brainstorm how to effectively teach challenging concepts. For enrichment, programs can also have a standing period of time when enrichment teachers talk about common challenges and classroom management strategies, plus resources to address them. For academic subjects, depending upon the curricula and if it doesn’t have a culminating product, a short pre-test and post-test (of no more than 30 minutes, and often included in the curricula package itself) can also be a good way to gauge progress and tweak the pacing guide and curricula for next year. Jennifer Sloan McCombs is a senior policy researcher and director of the Behavioral and Policy Science Department at RAND, and a professor at the Pardee RAND Graduate School. Her education research focuses on evaluating the extent to which public policies and programs improve outcomes for at-risk students. Heather Schwartz is a policy researcher at the RAND Corporation, associate director of RAND Education, and a professor at the Pardee RAND Graduate School. She researches education and housing policies intended to reduce the negative effects of poverty on children and families. 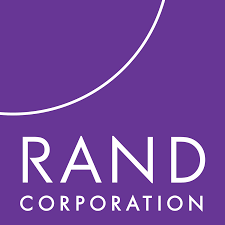 The RAND Corporation is a nonprofit institution that helps improve policy and decision making through research and analysis. For more than six decades, RAND has used rigorous, fact-based research and analysis to help individuals, families, and communities throughout the world be safer and more secure, healthier and more prosperous. RAND’s research areas include energy, education, health, justice, the environment, and international and military affairs.